For something that doesn’t exist — at least, not the way Stephen Hawking originally postulated — black holes certainly are generating a lot of space news these days. 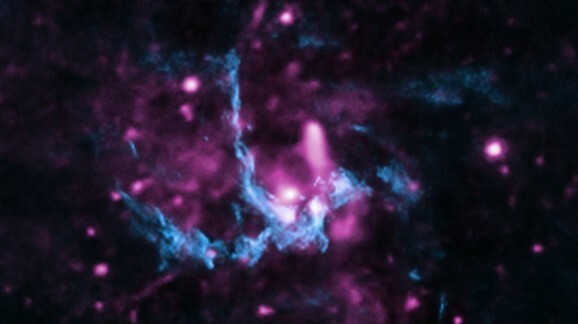 These cosmic badasses sure are busy, and as usual, they’re doing terrifying and awesome stuff, including annihilating gas clouds and, in the process, growing skins that look like fractals. As with many galaxies, there’s a supermassive black hole at the center of the Milky Way, and apparently, it’s about to lay waste to the G2 space cloud. 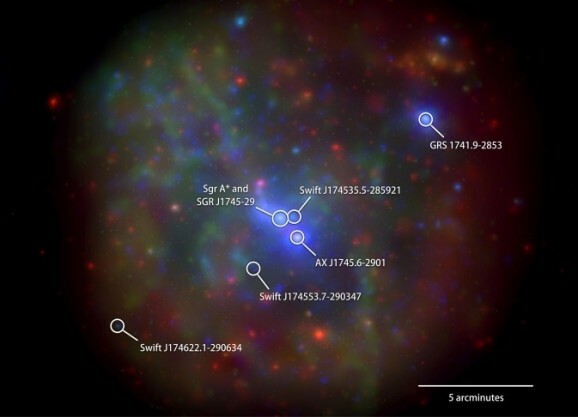 Astronomers first identified the space cloud, as well as its fate, in 2011, and they’ve been waiting excitedly for the black hole to gobble it up ever since. The black hole, named Sagittarius A* (that’s A-star), has a mass four million times greater than that of the sun. The gas cloud is tiny by comparison — about three times as massive as Earth, and scientists predicted that the two cosmic entities would begin their dance in March of this year. Indeed, the cloud is changing due to turbulence and tidal forces. The front of the cloud, or the part nearest to Sgr A*, has sped up due to gravity, and while NASA’s Chandra X-ray Observatory hadn’t registered any X-ray changes yet, they have seen alterations in wavelengths. Further changes are expected as the gas cloud continues its kamikaze run. Scientists hope to learn more secrets of black holes as the gas cloud draws near — it may shed light on how black holes get so huge, or supermassive. Scientists know that black holes incorporate stars, dust, and gas, but they aren’t sure how often that happens. Either black holes grow sporadically, or slowly but surely over time, or they grow infinitely and indefinitely. The latter seems to be the least likely, given that black holes would be even more massive if that were true. But either of the first two scenarios might be accurate, and what happens with Sgr A*and G2 might help scientists narrow that down. It’s also possible that the shredding of G2 might help scientists understand why galaxies seem to flicker from the middle — perhaps their black holes are doing something similar. Even though scientists are excited at the chance to observe this event, because we’re talking about space, it actually occurred roughly 25,000 years ago. Still, it’s in real time to us. After that bit of news, you might be wondering what exactly a black hole looks like when it feeds. A new study from MIT researchers demonstrates that the surface of a black hole becomes “turbulent” when it consumes other objects, and behaves like a fluid. What that means is that it essentially develops a horizon, or a surface skin, that becomes a fractal. The study relies on findings in physics that indicate a transpositional relationship between the equations that describe fluids and those that describe black holes. 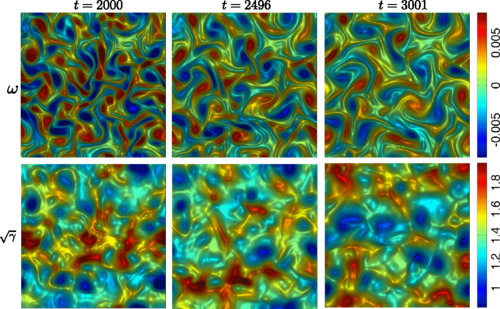 They used that relationship to develop a model of a turbulent fluid system and then convert it to a black hole model. Over time, the black hole generated what seems to be an infinite surface area, which is indicative of a fractal. Among other implications, people can now trip out while looking at black holes.